We’ve taken our name from the Alumbre River, a serene body of water flowing peacefully through the pictureqsque hills of Costa Rica. The river itself begins in in the Tarrazú region of the country, and that’s where we first planted coffee in 1968. Alumbre has since become a symbol of our company’s practices and the continuity of the relationships we share with our coffee growing partners. The inspiration for creating the Alumbre Coffee™ brand came from the paths we have taken to ensure a product that’s unlike any other coffee, with superior quality and unparalleled taste. For us, Alumbre is more than a river. It’s the idea that our farmers, sorters, and roastmasters take great pride in caring for our coffee while leading it through a well-defined journey before making it to your cup. As one of the very few coffee companies that actually owns an estate from which we source beans, we understand the delicate balance between nature, labor, and the finished product. That is why we are continuously investing in our people. They play an integral part in the production of our coffees, so we support them through special projects and initiatives to ensure their livelihood and well-being. This commitment to the environment and our people has paved the path for an industry-wide standard of sustainable coffee production. In our decades of growing, roasting, and packaging coffee, Alumbre has set a standard for sustainability and environmental responsibility. 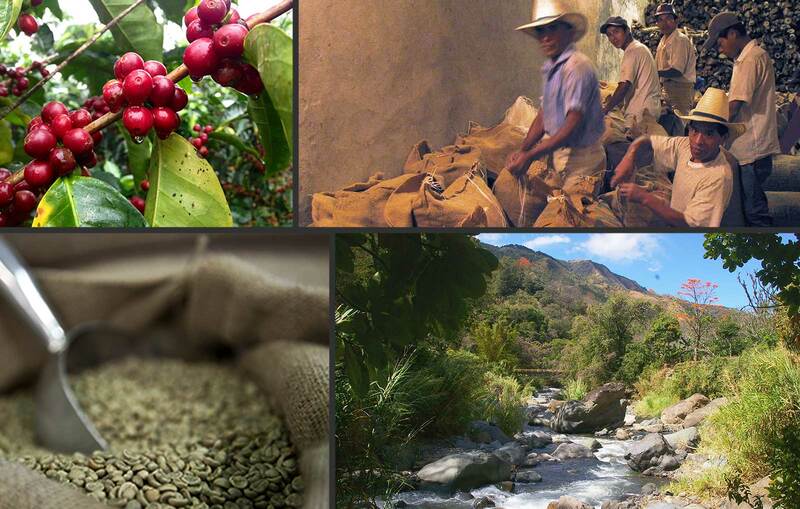 We’re proud that much of the coffee industry aspires to do what we’ve already achieved. WE ARE FARMERS: We are skilled horticulturists and have spent our lives learning our trade. All of our 100% Arabica coffees are planted and raised with appreciation and care. They are delicately handled at every step as they make their way from farm to mill. WE ARE MILLERS: After the coffee is picked, it begins a series of transformations. The beans are repeatedly hand-sorted for quality, one by one. We understand that every part of the process is critical, and any mistake in judgment or lapse in attention could result in a lesser-quality final product. WE ARE ROASTERS: We use traditional roasting techniques to preserve, protect, and enhance the coffee bean. Combined, our roasters have decades of experience. They have mastered the art of roasting each batch and adding the artisan’s touch that is needed to produce premium specialty coffee.